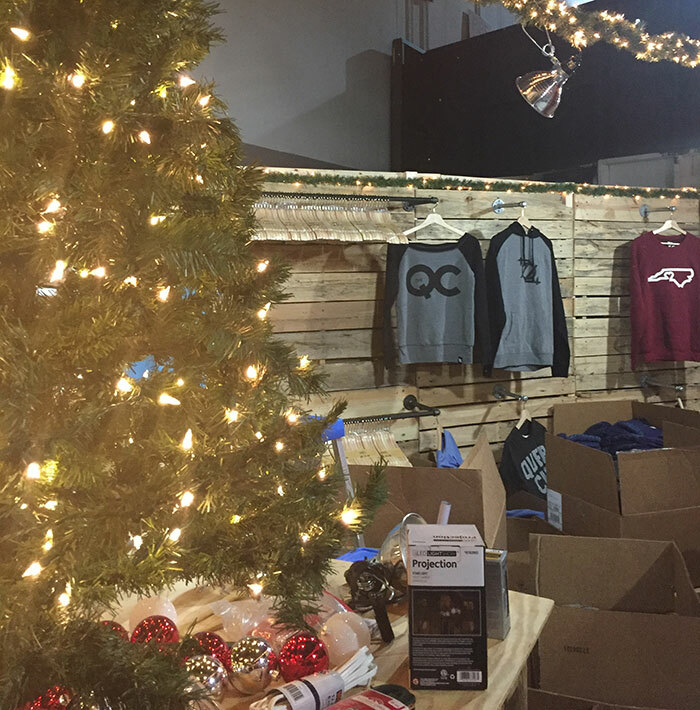 Last Thursday kicked off the Southern Christmas Show, the annual holiday event that takes over The Park Expo off of Independence Boulevard every year. 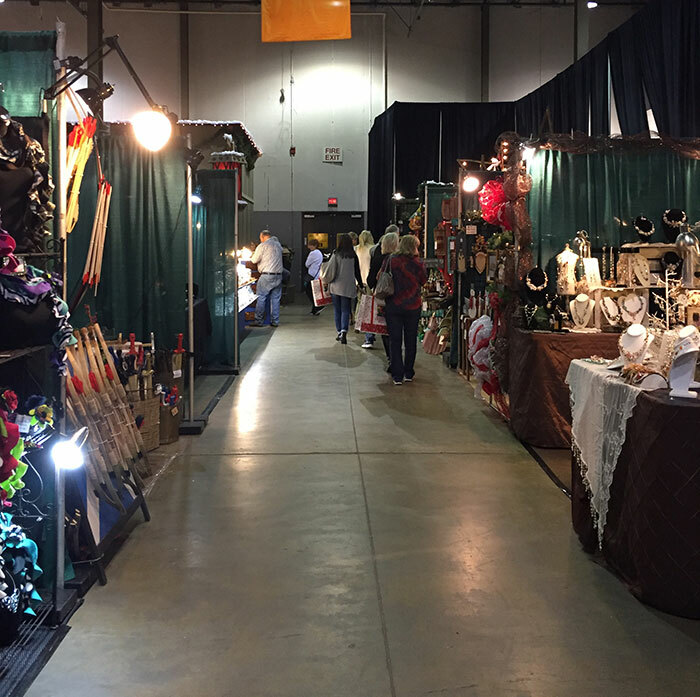 The show brings hundreds of businesses from across the South to Charlotte for 10 days along with thousands of shoppers from multiple cities and states. You’ll find holiday-inspired goods and great gifts for everyone from your mom to your dog. This year’s event saw a push to attract more local attendees in addition to the show’s usual out of town crowd that travels to the event from surrounding counties. 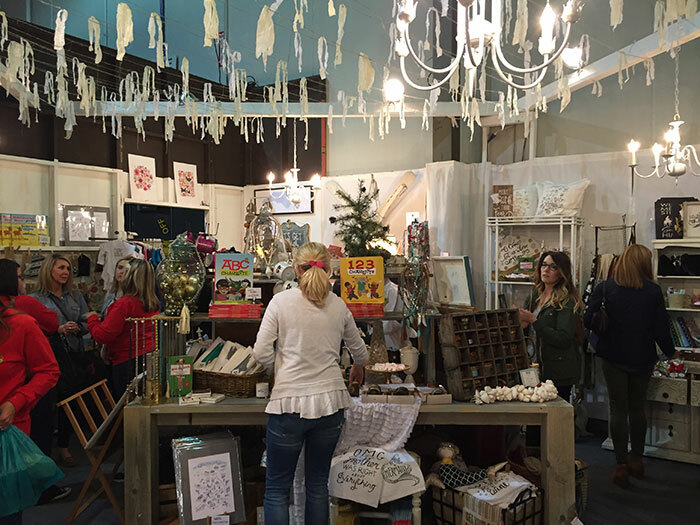 The overwhelming majority of businesses that participate in the show descend on Charlotte from other cities and states, but as retail continues to trend towards shopping local, The Southern Christmas Show saw value in sourcing Charlotte-born companies that could find potential success on the retail floor. 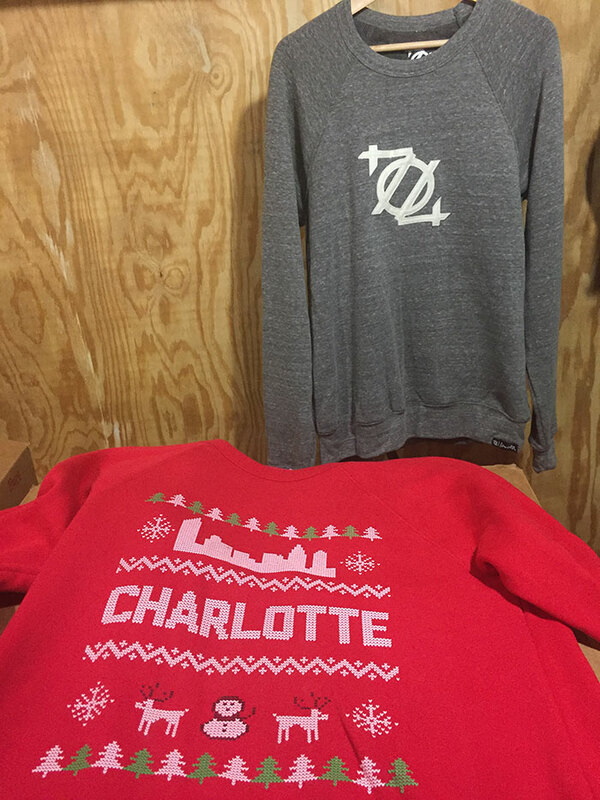 Two vendors repping Charlotte at this show this year are 704 Shop and CLT Find. 704 Shop owner Scott Wooten joined the show last year and was eager to join again this year. Although the investment is large both in time and money, Scott believes the return is well worth it. His entire expo shop is completely built from nothing. When Wooten entered his space on the first day, he had plywood walls and a concrete floor. After about a $1,500 build out investment, his temporary shop was born. 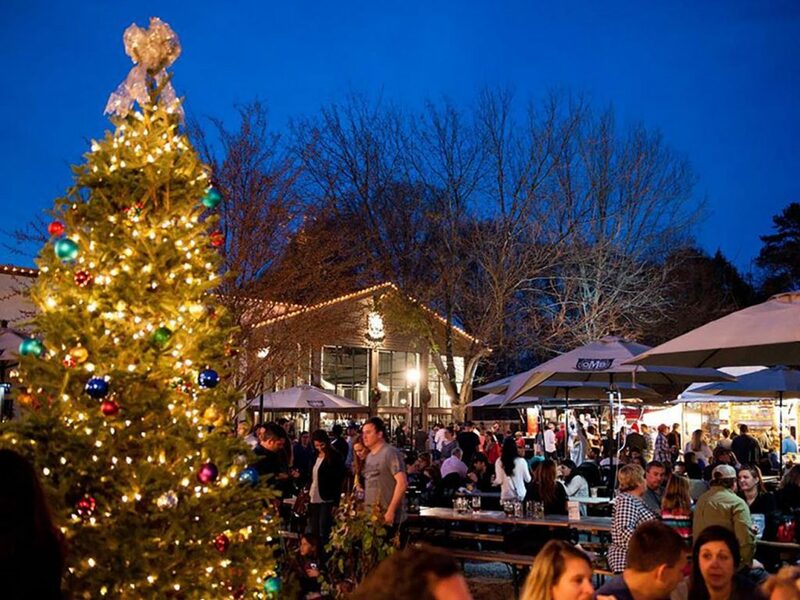 For local vendors, this is an opportunity to get in front of a market that isn’t readily attending their usual pop-up shop circuit. Scott is taking full advantage of 704 Shop’s wide appeal at the show — he’s debuting three new product lines that transcend all generations. A new line of hand-sewn button downs designed in-house by 704 Shop and sewn in Charlotte by Lauren Remesi, owner of Cut from the Same Cloth. These new button downs will mimic their mission for quality and good design, but usher them into another phase of business focusing on apparel, not just graphic tees. On the other side of the show, in Shop 35, is CLT Find. This new business is run by a group of four women who are filling the need of locally made goods at the Southern Christmas Show. 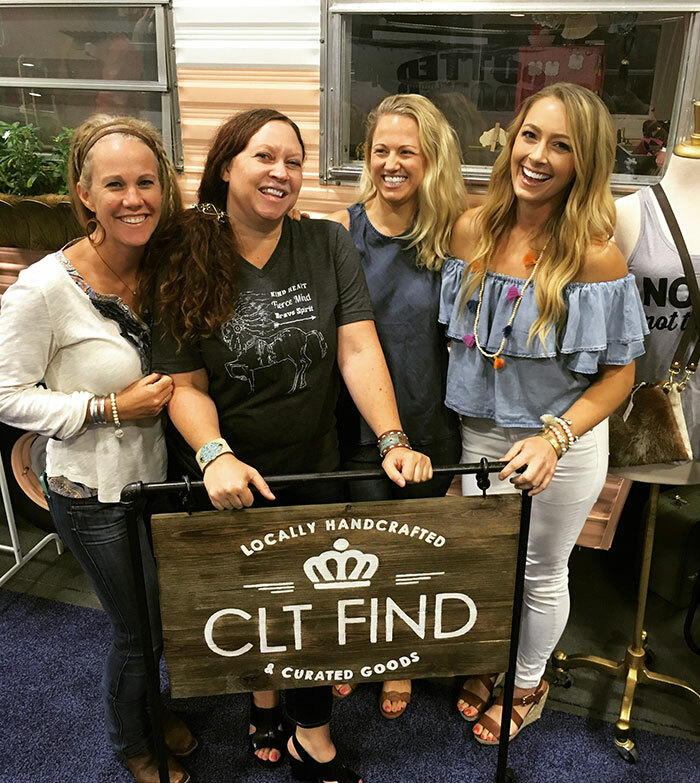 The CLT Find team was started just this year by Toni South (Small Keys), Britt Misenheimer (CLT Boutique), Christy Berkau Pope (Cricket Vision Press), and Amy Crawford (Punch Vintage Style) initially with the idea to bring locally made goods to the show. Their main focus has been the Southern Christmas Show, but they also have a booth at the 7th Street Public Market and they participated in the Southern Women’s Show just a few months ago. 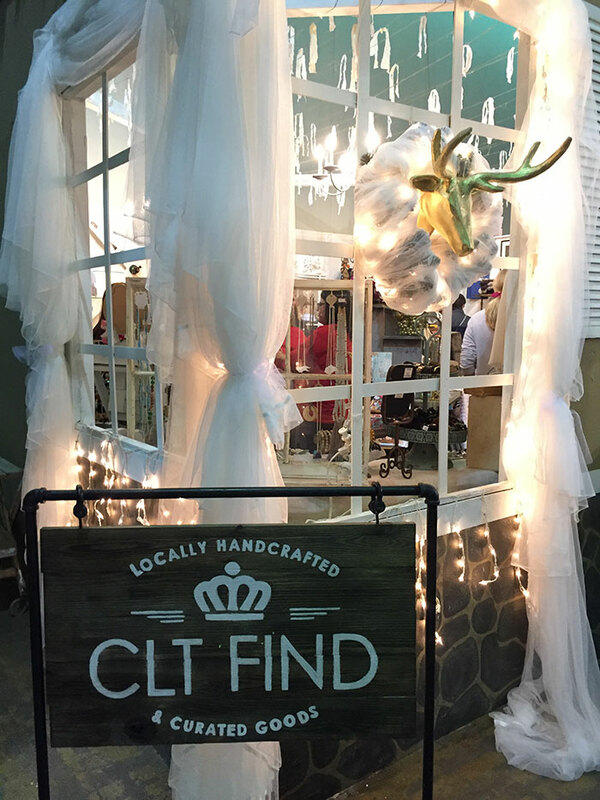 While most show participants come to share their own goods with visitors, CLT Find is actually sharing products made from other small business owners. Most everything is curated from makers who live around Charlotte, in addition to products made by the four of them. They serve as the bridge for these makers, allowing a new opportunity to get in front of this new market. The Southern Christmas show runs through Sunday, November 20 and opens at 10 a.m. (tickets are $12). 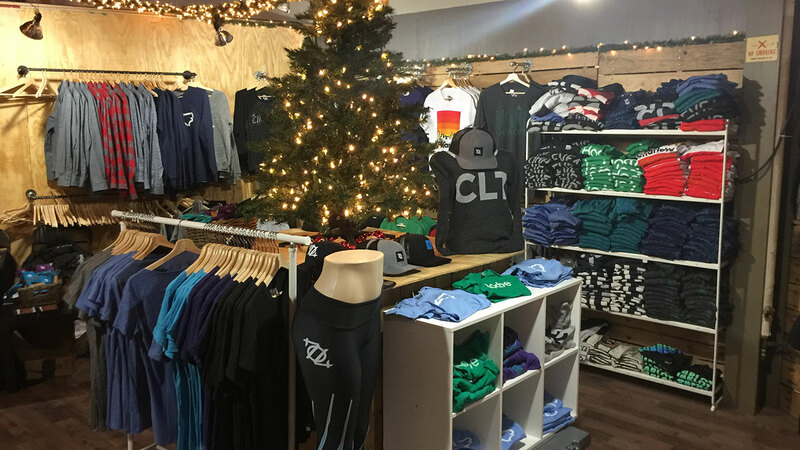 You can find 704 Shop in Shop 14 and CLT Find in Shop 35. 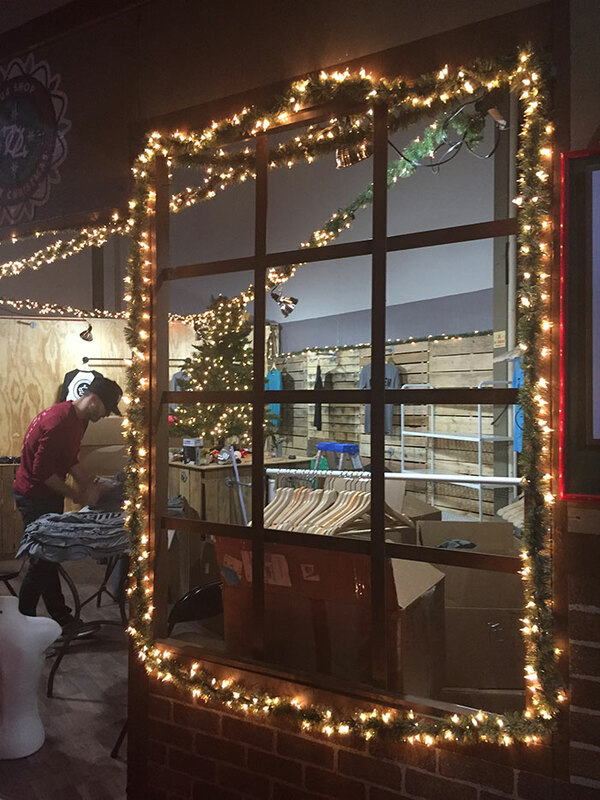 This isn’t your only opportunity to shop these two local companies, but it’s a great chance to kick off your holiday season before the shopping madness really kicks into high gear.